How and when the Byzantine Empire established? One of the big advantages of the Byzantine Empire, was that its capital, Constantinople. It was right in the middle of the Bosporus, Black Sea and the Mediterranean Sea. So, all trade between North Africa, Asia and Europe, had to pass through the capital (Constantinople), causing the Byzantine Empire to become very wealthy due to taxes they charged between the trading. 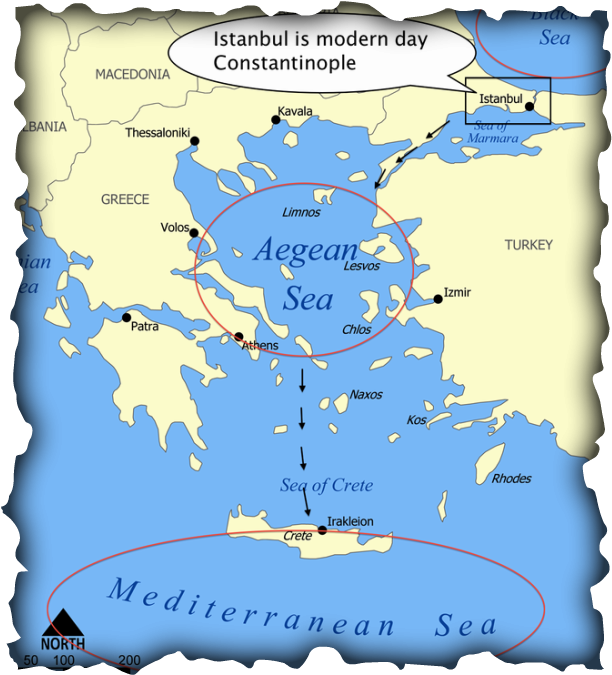 Although, since the Byzantine Empire took over the Bosporus shore, they were able to control water and land transportation (the only way to the Mediterranean Sea was through the Bosporus). Another advantage was the culture/religion. Christian, Greek, and Roman influenced their religion. Since the Byzantine Empire was once Roman territory, Romans had already accustomed to Roman’s methods, ways and the culture itself. Christianity was also there since a few years, after Emperor Constantine I fought in name of Christian god during battle, people started following the religion, also. Finally, the Greek influence came because of its localization (geography), since it was once Greek territory, but the religion and language didn’t die. Finally, the Byzantine Empire was an ideal location because it was surrounded by the shore of Bosporus, Aegean and Black seas. This provided protection from water invaders. 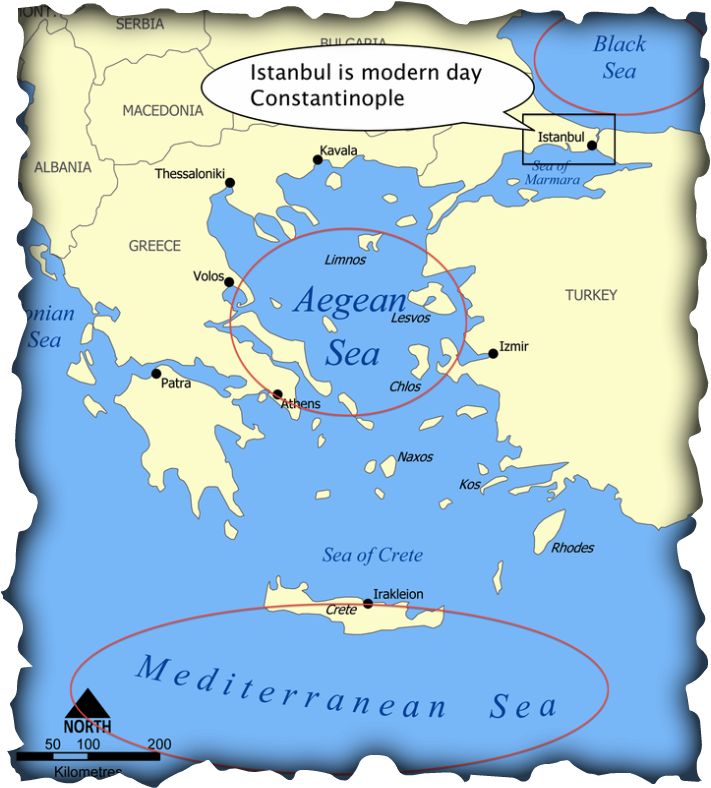 Although this may also be a negative aspect (the Byzantine Empire was sometimes a "target" for other countries during wars, since its a connection/trade route between countries), the capital, Constantinople, built walls around these shores as for protection. They built two layers of walls actually, one small around the important buildings in Constantinople, and another larger wall, more "general".